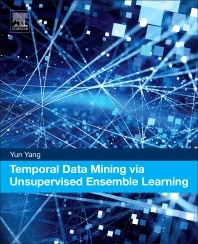 Temporal Data Mining via Unsupervised Ensemble Learning provides the principle knowledge of temporal data mining in association with unsupervised ensemble learning and the fundamental problems of temporal data clustering from different perspectives. By providing three proposed ensemble approaches of temporal data clustering, this book presents a practical focus of fundamental knowledge and techniques, along with a rich blend of theory and practice. Furthermore, the book includes illustrations of the proposed approaches based on data and simulation experiments to demonstrate all methodologies, and is a guide to the proper usage of these methods. As there is nothing universal that can solve all problems, it is important to understand the characteristics of both clustering algorithms and the target temporal data so the correct approach can be selected for a given clustering problem. Scientists, researchers, and data analysts working with machine learning and data mining will benefit from this innovative book, as will undergraduate and graduate students following courses in computer science, engineering, and statistics. Dr Yang has a very solid and broad knowledge and experience in computer science, and in-depth expertise in machine learning, data mining and temporal data processing. His main research area is in the temporal data mining and unsupervised ensemble learning. In these topics, he has produced some internationally excellent research results including proposing and developing several innovation methods and algorithms. These works have been published in the international leading research journals or conferences such as IEEE Transactions on Neural Networks and Learning Systems, IEEE Transactions on Knowledge and Data Engineering, IEEE Transactions on Systems, Man, and Cybernetics- Part C, and Knowledge-Based Systems. His research results have attracted a lot of attentions from the machine learning research community and made the significant impact. As an evidence to illustrate the attention that his work has received and the impact his work has produced, his IEEE Transaction publication “Temporal data clustering via weighted clustering ensemble with different representations” has been cited more than 42 times based on Google scholar.